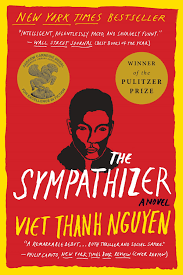 Viet Thanh Nguyen’s The Sympathizer makes the Crime Reads list of 21 Crime Novels Set During Revolutions and Rebellions. 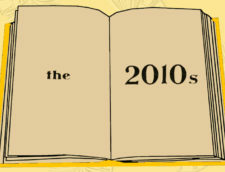 In honor of the 4th of July, we decided to celebrate crime fiction set during all revolutions, even those that succeeded only in establishing themselves in our collective historical memory. No matter the revolution, these works share some surprising affinities. 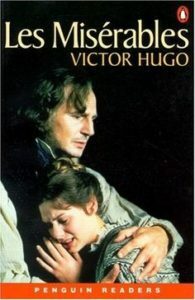 Complex crime stories taking place during revolutions tend to fall into three main categories, each of which you’ll find amply represented on this list: spy fiction that directly engages with the political situation described; crime-within-a-crime fiction aimed at capitalizing on the chaos of revolution to showcase the pointlessness of pursuit (looking at you, Les Miserables); and a more diffuse category of social change against the backdrop of a revolution, usually exploring the disconnect between changing roles among revolutionary male elites and stagnant roles for women, laborers, and minorities. 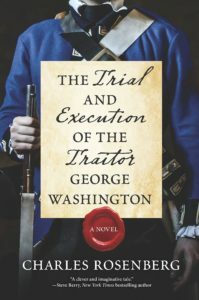 Alternative history tends to not go too far back in time, lest representation of reality stray too far from our present moment, but what better way to explore the crime aspects of a revolution, then by writing an alternative history crime novel in which George Washington goes on trial for his traitorous behavior? Charles Rosenberg has done exactly that and while the dovetailing of conservatism in both England and the US precludes me from straight out saying that we’d all be better off if the British had won, slavery would have certainly been abolished way earlier. Revolutions and wars offer up death and instability, but they also offer opportunity, namely of the economic variety. 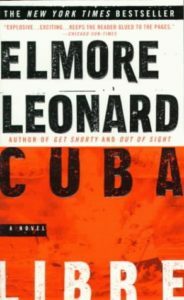 They’re a hustler’s dream, and Elmore Leonard, being the bard of all hustlers, naturally took on the subject in 1998 novel, Cuba Libre— part historical novel, part crime caper, part western. Cuba Libre looks at the tumultuous turn of the century in Cuba, when revolution was in the air, the Spanish were the colonial antagonizer, and the US jumped into the mix with ulterior motives of its own. The novel follows an elaborate scheme involving a sugar baron, a cowboy bank robber, the USS Maine, and a wild cast of characters. It’s not often mentioned in the Leonard canon, but certainly has a place in the revolutionary crime fiction rolls. Perhaps the most obvious work to include on this list, Les Miserables is equally concerned with criminality, the criminalized, the revolutionary, and their intersections. 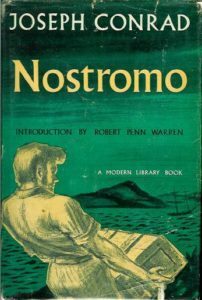 Hugo’s masterpiece follows a reformed criminal and his dogged pursuer for the ur-text of the “small crime within a large crime” novel, in which the act of pursuit loses all context, and we, the reader, root for chaos, as a way to restore a potential future to our hero on the run. 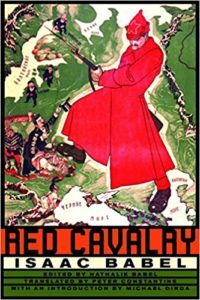 Isaac Babel’s Red Cavalry is possibly the most violent book I have ever read (and those who follow this site know that that’s saying something). While not a crime novel—or even a novel—this collection of short stories is full of crimes; Red Cavalry follows an anarchist cavalry regiment fighting the White Russians during the Civil War accompanying the Russian Revolution, and both sides spend a fair amount of time engaged in animal abuse, sexual assault, and hate crimes (although the White army definitely ends up committing a whole lot more of the hate crimes). 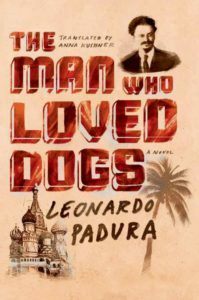 The Man Who Loved Dogs is one of the most ambitious and accomplished novels from an icon of Latin American crime fiction. Padura weaves together three stories, each of them post-revolutionary in its own way: the rivalry between Trotsky and Stalin; Trotsky’s exile and subsequent assassination in Mexico; and the Cuban twilight years of Trotsky’s KGB-trained assassin. Padura unfolds these tales with lush, lived-in details that simultaneously drive the story forward and subvert the very ideas that infuse each strand. This is a revolutionary detective novel for the political cynic who harbors secret ideals and clings to old romantic notions. In Kamel Daoud’s heroic effort to fix Camus’s The Stranger, Harun, the brother of the unnamed Arab man murdered in The Stranger, seeks justice for his brother’s demise, here given the name of Musa. 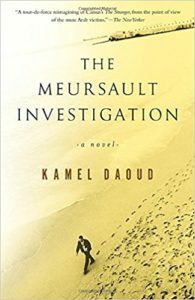 Daoud follows his characters through the many bitter trials of colonialism, then at last gives them their vengeance against the backdrop of the Algerian Revolution. I love books featuring competing jurisdictions; a nightmare for a detective, they are a criminal and a revolutionary’s best friend. 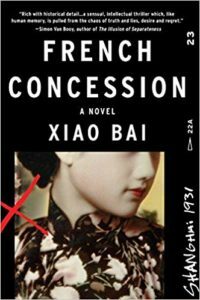 Set in Shanghai in the 1930s, French Concession is a sweeping tale of spies, revolutionaries, assassins, and political police, that may not take place during a revolution, but leaves revolutionary change as the only possible outcome of the book’s events. 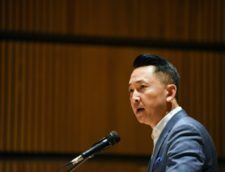 Viet Thanh Nguyen’s literary spy thriller follows a double agent through the Vietnam War and the revolutionary changes implemented afterwards, with a cynical eye towards the hypocrisies of all sides. 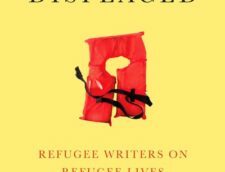 The Sympathizer won both the Edgar Award and the Pulitzer, and a mention of those awards only hints at the unparalleled brilliance and unflinching cynicism of this novel. 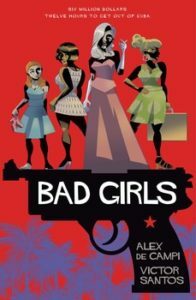 On the eve of the Cuban Revolution, three women must work together to smuggle millions of dollars out of Havana on New Year’s Eve, 1958. This lushly illustrated graphic novel is the perfect vehicle for this intricate heist story. In Mexico City in 1922, four friends from disparate backgrounds meet to play dominos—a labor organizer, a journalist, a poet, and a lawyer—and to discuss the progress of the revolution, seemingly hijacked by Obregon before a truly radical plan for post-war Mexico can be implemented. Despite their initial reluctance to interfere, the four friends soon become involved in investigating a series of murders linked to US oil interests. Taibo captures the romance of revolution, the chaos of transition, and the rapacity of capitalism with unerring precision. During the English Civil War, a small but vocal contingent of Cromwell’s supporters took his message of radical equality to its logical conclusion and set up a proto-Marxist utopia of shared land and resources, that was soon enough brutally destroyed. 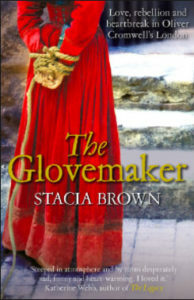 Stacia Brown’s The Glovemaker follows the trial of a young woman accused of infanticide, and touches on many of the social and political upheavals of 17th century England, including the long-gone, but never-forgotten Levellers, and appears to be the only mystery novel that does so. 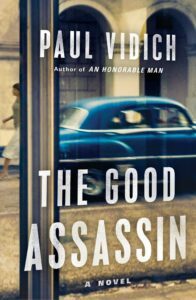 Vidich’s second novel is a tangled web of spies, sympathizers, and revolutionaries. It’s 1958 Havana, and the CIA suspects that its man in the capital is redirecting guns meant to support Batista’s troops to Castro and his rebels in the mountains. Vidich wrote for CrimeReads about the challenge of writing in the shadow of Graham Greene—the comparison to Our Man In Havana can hardly be ignored—but The Good Assassin has traces of Conrad and le Carre, as well: allegiances are mixed, moral forces are confused, and the spies are utterly, irredeemably human. 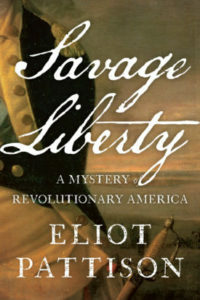 In Pattison’s fifth installment of his Bone Rattler historical mystery series, he takes his fighting Scotsman to the American Revolution, where series protagonist Duncan McCallum quickly becomes involved in intrigue and treachery surrounding the Sons of Liberty. 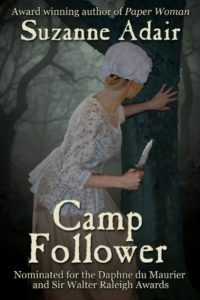 Just one of many stand-alone mysteries from Suzanne Adair that explore the complexities of women’s roles during the American Revolution, but by far the one with the best name, Camp Follower is the surprisingly modern story of a society journalist for a loyalist magazine assigned to write a feature on a brilliant British officer, but soon comes under suspicion of being (gasp!) a rebel spy. 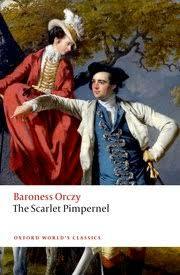 While my memories of The Scarlet Pimpernel are vague at best, and intertwined with Black Adder’s parody, I believe that The Scarlet Pimpernel, like much of the adventurous historical fiction published throughout the long 19th century, counts as espionage fiction (the baroness first created her famous character in 1906). The adventurous Pimpernel snatches imperiled aristocrats away from certain death at the hands of revolutionaries, and looks good doing so. Furst’s masterpiece was the start of an epic series and a rich portrait of the Soviet international revolutionary intelligence network. In 1930s Bulgaria, Khristo Stoianev watches as local fascist forces murder his brother. He is soon recruited by a charismatic stranger who indoctrinates him into Soviet ways and sends him to be trained at NKVD headquarters. Khristo is dispatched across the continent, sewing discontent and revolution. His own disillusionment is part of the journey. 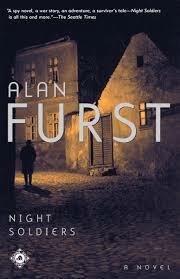 Furst is one of the titans of 20th century espionage and political fiction, and this is the book to start with. The Fourth of July is as good a reason as any. 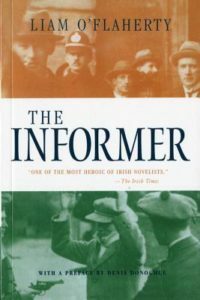 A classic of Irish literature and often remembered for the 1935 John Ford-directed film, The Informer is as dark as they come. It’s 1922 in Dublin and Gypo Nolan, a bitter former IRA man, walks from one indignity to the next. After being picked up by the police, he decides to collect on a reward by informing on one of his IRA brothers-in-arms. This moment of weakness costs him dearly, as he’s hunted both by a guilty conscience and his old revolutionary pals. Set in the fictional country of “Costaguana”—a stand-in for La Gran Colombia—Conrad’s masterpiece looks at the inevitable march of industry, as colonial powers (some more benevolent than others, all driven by a kind of messianic capitalist zeal) drag minerals from the earth and run roughshod over the working classes, local and imported. Revolution comes to the port city, families and companies are torn apart, allegiances are tested, and fortunes are won and lost. 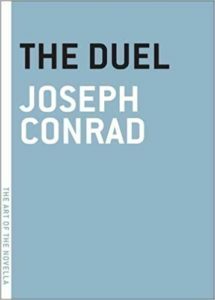 It’s hard to put this Conrad novel into a category—historical, adventure, or heist novel. Better to read it as a sweeping epic of the kind and complexity few have ever rivaled. “Revolution” may be technically incorrect (and sure, it’s not a neat fit in the “crime” genre, either), but Vargas Llosa’s epic thriller is certainly full of revolutionaries, plotters, and rebels. The author reimagines a period of monumental upheaval in the Dominican Republic, during the final years of the dictator, Rafael Trujillo, before and after his assassination in May 1961. 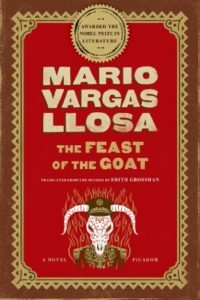 The historical record is the basis here, but the rest is all Vargas Llosa: passionate debate, internal turmoil, and a series of overlapping conspiracies and plots, as personal interests collide and conflict. Aziz’s The Queue takes place in an unnamed country after a semi-failed revolution, wherein a despotic government has been replaced by a seeming reformist one. When the new government in power reacts violently to mass protests, a quixotic form of damage control emerges where doctors are ordered not to treat patients with government-inflicted wounds, as the government could not possibly have shot at unarmed protestors, and thus any attempt by a protestor to seek treatment must be considered a despicable slander upon government forces. A wounded man, slowly dying of the bullet stuck in his belly, joins an ever-growing line outside of a bureaucratic center known only as “The Gate,” where hope slowly gives way to despair as the line grows ever longer. 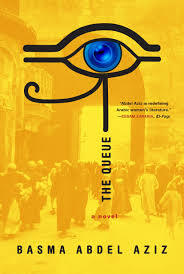 Not a novel about a successful revolution, but not one of a completely failed revolution, either, The Queue is more a cynical parody of how bureaucracy continues, no matter which government is in charge, as well as examining the process by which protest becomes criminalized.